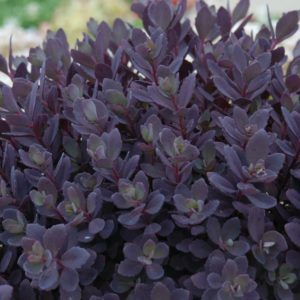 Sedum 'Plum Dazzled'. The rich dark plum-purple foliage is 40% darker than 'Dazzleberry'. Hardy, compact and well branched. 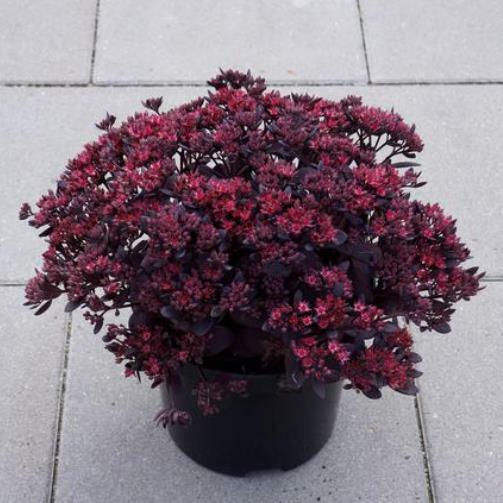 The bright flowers bloom 2-3 weeks later than 'Dazzleberry', extending the season's color. Another winning "Sunsparkler" selection.